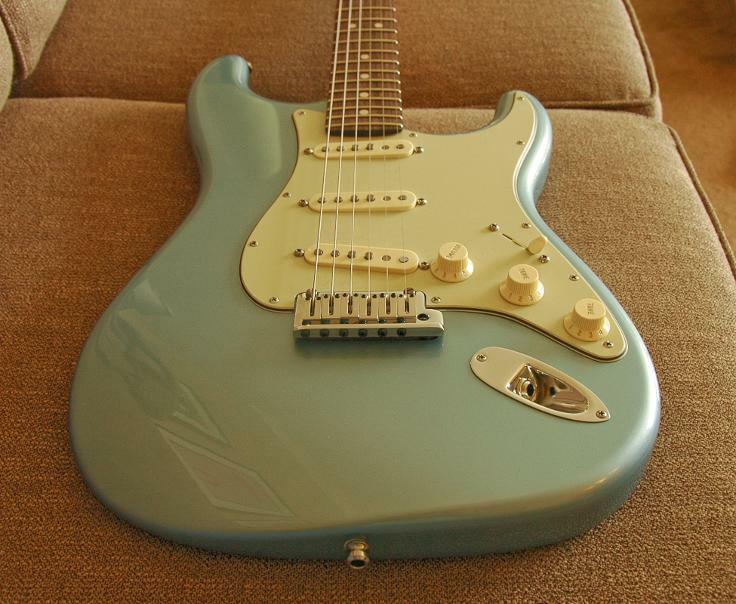 Discussion in 'Guitars in General' started by jzgtrguy, Feb 12, 2012. Just curious what other people are using for saddles. I have the Raw Vintage bent metal. What saddles do you use and why? Callaham. Not because they sound any better than anything else, but they sound "normal" and happen to fit the bridge i'm using who's saddles are who knows where. (my pasts drawer is overflowing with parts i have no idea where they're from) But as bent steel goes i have only heard one set that differed from the norm, and they sounded like cr@p. Fender AV saddles. They gave the strat a nasty spikey static sounding high end. I tried them again just recently after having shelved them for that reason 6-8 years ago. Once again that same nastiness, so this time i tossed them. Anything else was better including squier saddles, MIJ, MIM, you name it. So i wouldn't spend much time agonizing over bent saddle. Whatever you have that fir the spacing of your bridge are probably going to sound as good as anything else and better than AV ones. Stock saddles on all of my strats. Only ones I would consider swapping out are my couple late 80s-early 90s flat topped saddles. That sharp edge where you place your pick hand is really irratating to the heel of your hand after a few sets. Babicz FCH. By far the most comfortable saddles to my hand. I use the saddles, not the entire trem assembly. In my personal playing experience, I can not really distinguish the tone differences when everything is amplified and one or more effects pedals are on. I guess the saddles on my Custom Deluxe are polished stainless steel. I haven't really had the inclination to experiment with saddle materials and these seem just fine to me. I picked up a cheap bridge online for my partscaster. I've tried other bridges, and ended up swapping the saddles over to a new bridge. Anything else just doesn't have the same edge, most bridges I've tried are too dull. Of course I've only tried a few cheaper knockoffs. I've got a set of raw vintage waiting for me to paint my 62 RI. i like these. since i put them on i never break strings. OP, do you like the toanz? Are u breaking strings? If you answered yes and then no, leave it alone. If it works, don't fix it. I've got the stock bent saddles on mine and they seem to work just fine. My bridge is gold plated, so I don't have many options for replacement anyway. Callaham bent stainless steel on a hardtail. Thanks for the info guys. 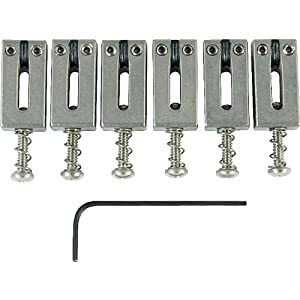 I have a Gotoh 510 bridge and the Raw vintage saddles. I never ever break strings. I was just curious mostly about the more modern rectangular saddles. I've been considering upgrading to titanium with a KGC brass block. I have been using the Raw Vintage for about a year. I always have problems breaking strings with the Fender steel vintage RI steel saddles. I bought the RV saddles because they are supposed to be a harder steel. So far so good. No problems with the strings breaking and as a bonus they sound better too! The notes are a little bolder with the RV saddles. I love them! I have my stock Fender stamped MIM CS saddles in bent steel, stock, but I've wanted Raw Vintage for a while...I just don't *need* it yet. Just picked up some '83 Fullerton RI saddles. Just like the Patent Pend saddles. Can't wait to install them! Other than that I dermal out my fender vintage saddle string holes to be closer to the pat pend saddle. Works wonders on my strat. Just a FYI...the KGC brass block is an unreal upgrade...I did it on mine and I LOVE it!! Much more sustain.